Private and personalised experience with a Local Host. Tokyo is world famous for its shopping - and with good reason! But as well as cutting edge fashion boutiques and beautiful department stores, the city is also home to some pretty quirky shops that you won’t find anywhere else in the world. 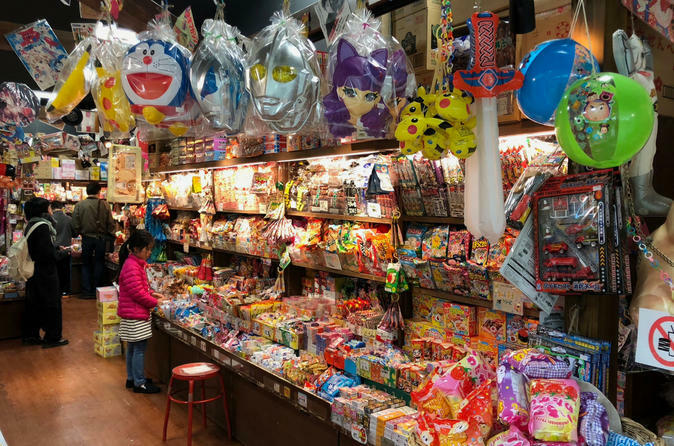 From 100 yen shops selling products you've never even thought of to a mall dedicated to all things anime and manga, shopping in Tokyo is an experience unlike any other! So let a Local Host show you the very best shops in the city and discover the weird, the wonderful and everything in between! Join a Local Host and browse the very best of Tokyo’s unique and quirky stores and where to shop like a local! Discover Tokyo’s distinct style in the stores where you can buy anything from clothing to gadgets, comics to cameras. Discover unique shops catering to anime fanatics, huge electrical stores and quirky 100 yen stores which sell bits and bobs you’d never have thought you needed - until you laid eyes on them! Your Local Host will show you neighbourhoods renowned for their quirky street style and show you the stores where otaku fanatics shop for all things manga and anime! On the experience, you'll spend time getting to know your Local Host and get tips and recommendations for where else to shop during your visit, as well as places to eat or other activities your Local Host knows you'll love.